More hospital staff will be trained to identify the signs of family violence and assist patients experiencing violence to seek support as part of a $1.2 million Victorian Government funding boost. Minister for Health, Jill Hennessy, today announced that funding for the Strengthening Hospital Responses for Family Violence (SHRFV) initiative would increase from $250,000 to more than $1.2 million this financial year. 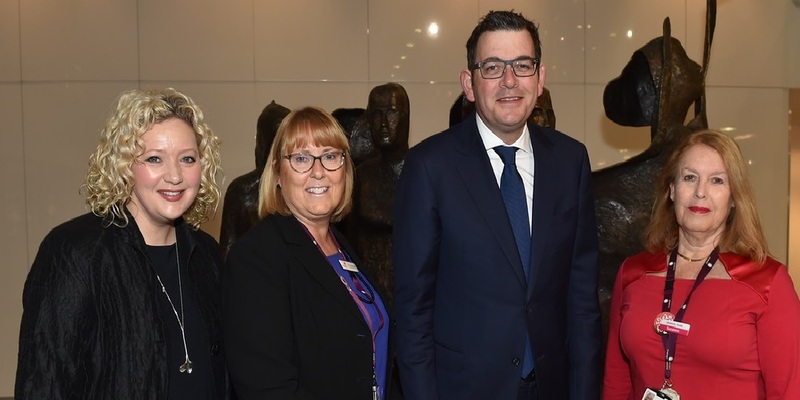 The initiative will help 14 Victorian health services to improve their response to patients experiencing family violence, nine of which are being funded for the first time and three to support regional health services in the Grampians, Loddon Mallee and Hume. The initiative will include training for hundreds of health service staff, equipping them to notice the signs, inquire sensitively, respond respectfully and provide a pathway to specialist family violence support services. This will result in earlier identification and quicker referral to services. Three new training modules will also be developed focusing on elder abuse, sexual assault and rural and remote communities. Separate funding will also support a fourth training module focusing on children. Family violence is a health issue, and has a profound impact on a victim’s physical and mental wellbeing. As part of the second phase of the project, a free toolkit has been developed by the Royal Women’s Hospital and Bendigo Health, in partnership with Our Watch, to improve the response of health service staff to prevent, identify and respond compassionately to victims of family violence. The second edition of the toolkit is being launched today. It features resources such as training presentations, policies, procedures and guidelines that assist healthcare workers to identify and support victims of family violence, and refer them to the most appropriate services. Addressing family violence is a key priority for the Andrew's Government. It established Australia’s first Royal Commission into Family Violence and in the Victorian Budget 2016/17 delivered $572 million to begin responding to its recommendations. “Healthcare workers have a real role to play in responding to family violence. For many people, a doctor or nurse is someone they respect and trust,” Victorian Health Minister Jill Hennessy said. CEO of the Women's Dr Sue Matthews said at the launch of the toolkit at the Women's today that hospitals must do all they can to better equip staff to identify and respond to women who disclose family violence.